Test your kung-fu. Save the day. Be a ninja. 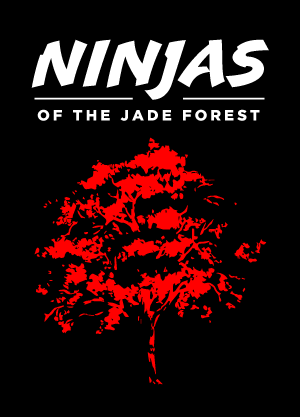 ​​Ninjas of the Jade Forest is a cooperative storytelling game for 2–4 players. Play as group of powerful warriors sent on critical missions to fight off an encroaching darkness. In this low-prep, short-form game, each session of play consists of a single, elaborate fight scene in the exhilarating style of movies like Crouching Tiger, Hidden Dragon. The success or failure of each mission affects the world at large, influencing subsequent missions and ultimately the fate of the Jade Forest itself. Are you ready to test your Kung-Fu? Sign up for updates on Ninja's development and release date.